This is information only. Recommendations aren’t mandatory. This Special Airworthiness Information Bulletin (SAIB) alerts you, owners, operators, and certificated repair or maintenance facilities of airplanes equipped with Honeywell Inc. (Honeywell) TPE331-10 and TPE331-11 series turboprop engines, to 1st stage turbine blade failures. We have received reports of 21 1st stage turbine blade failures on Honeywell TPE331-10 and -11 series engines from October, 1997 to November, 2013. These failures caused 15 in-flight shutdown events resulting in moderate to severe turbine damage. 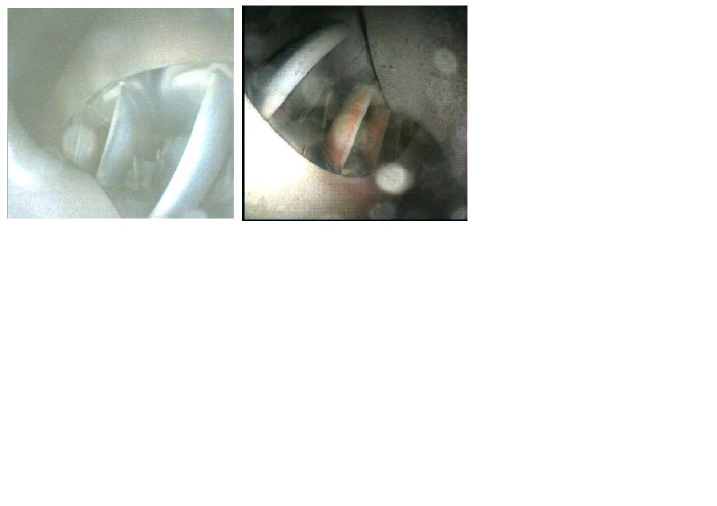 Of the 21 blade failures, 9 involved 1st stage turbine nozzle distress and nozzle vane burn-through. Nozzle vane burn-through creates a one-per-rev excitation to the 1st stage turbine blades, which contributes to premature blade failures. 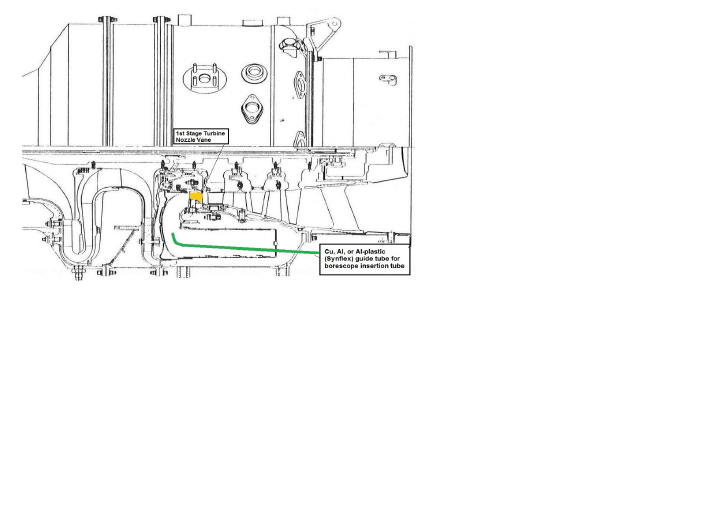 The Accomplishment Instructions of Honeywell Service Bulletin (SB) TPE331-73-0284, dated November 3, 2014, recommends a borescope inspection (BSI), only after fuel nozzle distress, in accordance with the engine maintenance manual (EMM). The TPE331-10 and -11 series EMM instructions in Section 72-00-00, Inspection/Check, identify BSI equipment that is not readily available or effective for this application. Additionally, the EMM does not clearly define nozzle vane burn-through. This SAIB supplements Honeywell SB TPE331-73-0284 by providing additional guidance for BSI of the 1st stage turbine nozzle vanes to prevent 1st stage turbine nozzle vane burnthrough and reduce blade failures. The FAA recommends a BSI at every fuel nozzle inspection interval when the fuel nozzle manifold is removed from the engine, not to exceed 450 hours since last inspection. 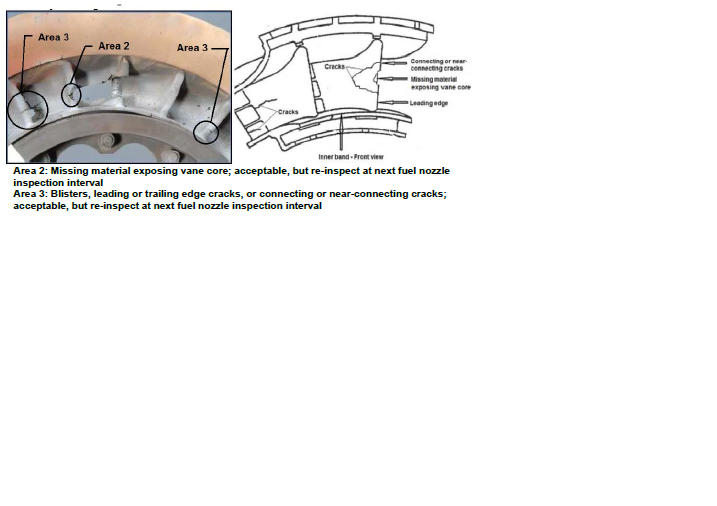 We also recommend BSI viewing through 4 fuel nozzle boss openings to obtain full inspection coverage of the 1st stage nozzle. We also recommend using an RF Systems videoscope with a 3.9 mm or 6.9 mm flex insertion tube or equivalent. 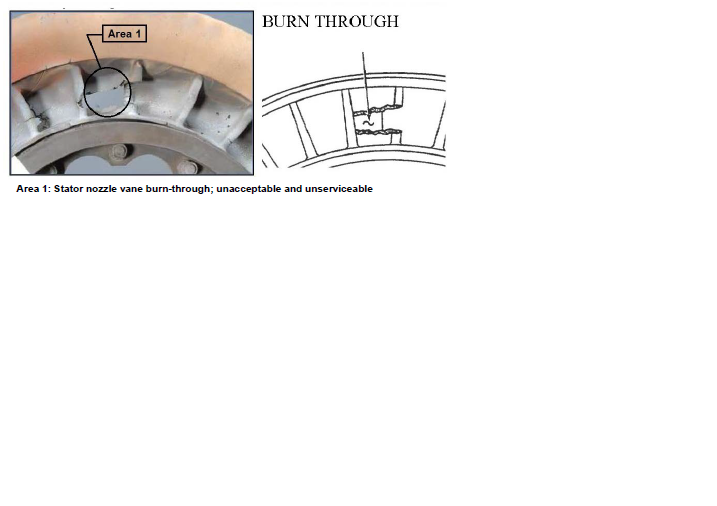 The flex insertion tube must be used with an appropriately sized guide tube as shown in Figure 1 below. When selecting a flex insertion tube, it is important to note that larger diameter tubes allow more light at the inspection site, but will have less flexibility. Synflex guide tubing provides the strength and flexibility of aluminum tubing and can be bent by hand. Some borescope suppliers may provide properly-sized Synflex tubing. Figures 2 – 4 provide photos of TPE331 engine 1st stage turbine stator nozzle vanes with acceptable and unacceptable conditions. Joseph Costa, Aerospace Engineer, FAA, Los Angeles Aircraft Certification Office, 3960 Paramount Blvd., Suite 100, Lakewood, CA 90712; phone: 562-627-5246; fax: 562-627-5210; email: joseph.costa@faa.gov. Honeywell International Inc., 111 S. 34th Street, Phoenix, AZ 85034-2802; phone: 800-601-3099; Internet: https://myaerospace.honeywell.com/wps/portal.